Step 1 Heat the oil in a large pot over medium-high heat. Add the onion, carrots and celery. Cook, stirring occasionally, until softened, 5 minutes. Add the garlic and cook 1 minute. Add the tomatoes and chicken stock. Increase the heat to high and bring to a boil, then reduce the heat to low and simmer until the vegetables are tender, 15 minutes. Stir occasionally. In Recipes-list.com we have selected the most viewed recipes from category - Soups . Enjoy the best recipes specially selected for you! 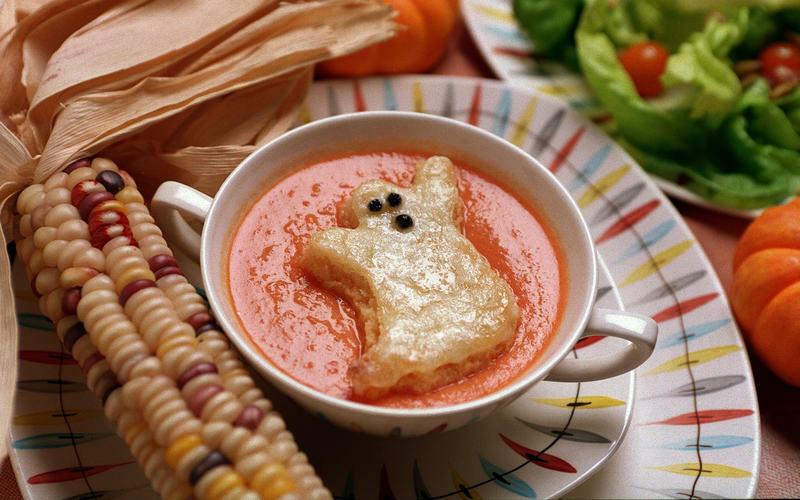 Tomato Soup With Ghost Toasts is the right choice that will satisfy all your claims.